In July 2013, as a result of a routine physical, it was determined that I had a 1″ cancerous tumor on my left kidney. Two weeks later, August 13, I had surgery to remove the tumor. When I woke up I learned that they had to remove my entire left kidney, my adrenal gland, my lymph node and a part of a rib. The tumor was imbedded and the cancer had started to spread. I had a 7″ incision being held together by 16 staples. Like any other person that has ever been told they have cancer it scares you to death. I started researching and reading everything I could about it. I learned that kidney cancer is considered a “rare disease”because it affects fewer than 200,000 Americans. As a result, there’s little funding for research and few options for treatment. It also doesn’t respond to chemotherapy and radiation so your choices are simple, you remove it or you don’t and take the chance it doesn’t spread. During my research I came across and article about a man named Don Shirley. Mr. Shirley’s life activities mirrored mine in many ways. He was a high school coach, as was I. He had no symptoms or family history of cancer, nor did I. Mr Shirley first encountered kidney cancer in 1993 before finally passing away when the cancer came back in 2005, at the age of 55, I would turn 55, one month after my surgery. I also learned that Mr. Shirley had a son, Scott, that was a member of my favorite college football team, the Penn State Nittany Lions. He had graduated in December 2004 from Penn State with a master’s degree in engineering. 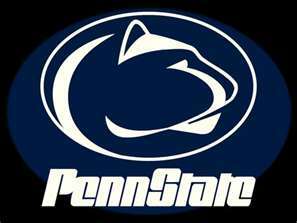 I had coached at the Penn State Summer Football Camps for 12 summers and was a season ticket holder. I found the story of Scott Shirley very interesting as well and needed to know more about him and the charity that he started called “Uplifting Athletes” that raises money for nearly 7000 rare diseases. I found contact information and reached out to Scott We’ve talked several times and communicate regularly through social media. the more we talked the more intrigued I became and the more I wanted to share his story. We recently sat down and did a question and answer session. PHILLY PRESSBOX (PP): Can you tell us about yourself and your background? SCOTT SHIRLEY (SS): I am a husband and father who helps college football student-athletes learn how to leverage the position they are in to help other by using their natural talents to the best of their ability. During my time at Penn State I was a wide receiver on the football team (1999-2003) and a catcher on the baseball team (2001). The degrees that I’ve earned include a BS in Engineering and Masters of Engineering from Penn State and I am an Executive Scholar from Northwestern’s Kellogg School of Management. 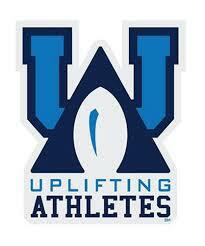 Currently I serve as the Executive Director of Uplifting Athletes Inc and CEO of PledgePlatform LLC. Community involvement includes the Board of Directors for AmeriChoice Federal Credit Union and the Board of Governors for the Maxwell Football Club. In my free time I play semi-pro baseball for the Mechanicsburg Cardinals. PP: How did Uplifting Athletes come about? SS: Our effort started in 2003 when my father was diagnosed with kidney cancer and my family learned that little could be done because it was a rare disease – meaning it affected fewer than 200,000 Americans and lacked financial incentive to make and market new treatments. When my teammate/roommate Damone Jones (OL from Philadephia, PA) learned of our misfortune, he suggested that we do something since we were in a position to make a difference. Our team rallied around the idea of leveraging a summer strength and conditioning competition into a fund raising event called Lift For Life® by opening it up to our fans and the media. We soon realized that the benefits of this new organization were far greater than we had imagined. The football student-athletes who were involved with leading this effort essentially created internship experiences for ourselves by reaching out to industry professional mentors. The benefits of off campus summer internships are well documented but are often void from the college experience of football student-athletes due to our year round commitment to the sport. We also realized that our teammates were actively engaged because this was something the team had ownership over, not a community service project that was planned by someone else. Finally, we learned that kidney cancer was one of more than 7,000 rare diseases (such as cystic fibrosis, Hodgkins disease or charcot-marie-tooth disease), affecting more than 30-million Americans and that we were making a big difference. Since 2003, the Penn State Football chapter has raised more than $800,000 to benefit kidney cancer; its events have attracted thousands of fans and media and connected patients from across the country. Eight new treatments have been brought to market during this time, compared with only one in the previous 12 years. We have inspired 20 other teams to start chapters of Uplifting Athletes, too, creating a coordinated effort to elevate the rare disease cause. PP: What is the mission of Uplifting Athletes? SS: Our mission is to align college football with rare diseases and raise them as a national priority through advocacy, education, outreach and research. Our vision is to create an environment that empowers people to take action against rare diseases and inspires the medical community to find cures. PP: How many football programs are presently involved? SS: Our network of chapters includes more than 20 college football teams representing every major conference including half of the B1G Ten and ACC. Each chapter is run by current football student-athletes and adopts a rare disease that’s had an impact on their team. Collectively we have raised more $2MM to support rare disease research and have created special moments like “Jack’s Run” at Nebraska (the 7-year-old pediatric brain cancer patient who scored a 69-yard touchdown during their spring game). See the video clip below. Over the past six years we’ve graduated more than 200 Uplifting Athletes “Lettermen.” Their professions range from the NFL to Wall Street. PP: You played for Coach Paterno at Penn State, would you care to comment on him, what happened to his legacy and his importance to you as a former PSU student athlete? SS: Coach Paterno’s legacy is his former players. Our actions will continue to shape the memory of him and expand the impact that he had. Time and patience will heal the wounds from the Sandusky scandal. Coach Paterno built a program on values that brought me and my friends together to serve as the catalyst, Uplifting Athletes. PP: How can a person help that may just want to donate to this cause? SS: Donations can be made through our website at http://www.upliftingathletes.org and directed towards a chapter/rare disease or you can make a general donation towards our mission. PP: Do you have any events or recognitions now that the college football season is over? SS: Our annual Gridiron Gala (www.upliftingathletes.org/gridirongala) is coming up on Saturday, March 8th. Tickets are available and it is open to the public. It is expected to be an outstanding event!! Also, we recently conducted an online vote for the 2014 Rare Disease Champion. We are proud to recognize Nebraska’s C.J. Zimmerer. The trophy will be presented at the Maxwell Football Club’s annual award dinner. The more I thought about Uplifting Athletes and how they operate the more impressed I became. Student athletes passing the torch from class-to-class and growing the chapters. How cool is that to be able to leave your legacy at your college by being the chairman for the year of such a beneficial fundraiser? In closing, Scott Shirley has committed his life to making a difference through Uplifting Athletes. 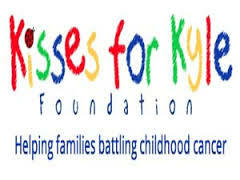 We commend him for his efforts in starting and growing such a great cause. You to can make a difference by educating yourself about rare diseases and, if you are able, donating to the cause at http://www.upliftingathletes.org. In the 2003 NFL draft the Nittany Lions set a school record with 4 – 1st round draft picks. There were also 2 – 2nd round draft picks that same season. Can you name the 2 – 2nd rounders? As a bonus who were the 4 – 1st rounders and in what order were they drafted 1-4? Matt Bahr and Kerry Collins have the longest recorded NFL careers of any Penn State players with 17 seasons. There are 6 Nittany Lions that played 14 seasons which is next on the list. Can you name the 6, or any of the 6? HINT: The earliest career of the 6 started in 1968 and the latest career ended in 2009. As a bonus, 1 of them played all 14 seasons with the same team. Do you know which one and which team? There are only two Nittany Lions to play in 3 or more Super Bowls with 3 different teams and I am one of them. I played in 3 . I lost the first one, won the second and lost the third one. I played in the NFL for 10 seasons with 4 teams. Do you know who I am? As a bonus can you name the other guy? He won all 4 times. I am a member of the College Football Hall of Fame and the NFL Hall of Fame but I’m also the first Nittany Lion to ever play in the Super Bowl. Do you know who I am?